I am so glad it is Friday. We have a very busy weekend, followed by a busy next week. Which also means, Europe is right around the corner...as in 8 days. Yikes. But let's get down to my Friday Favorites and Happenings. One. So we all know that I am a planner. I probably over plan, but it's just in my blood. Since we are getting wood floors now, I started to look into vacuums for said floors. I know a lot of people love the Roomba, but I can't get over the price. Nobody has that money after renovating their kitchen. Maybe I should have planned better and budgeted it into our budget, but that didn't happen. 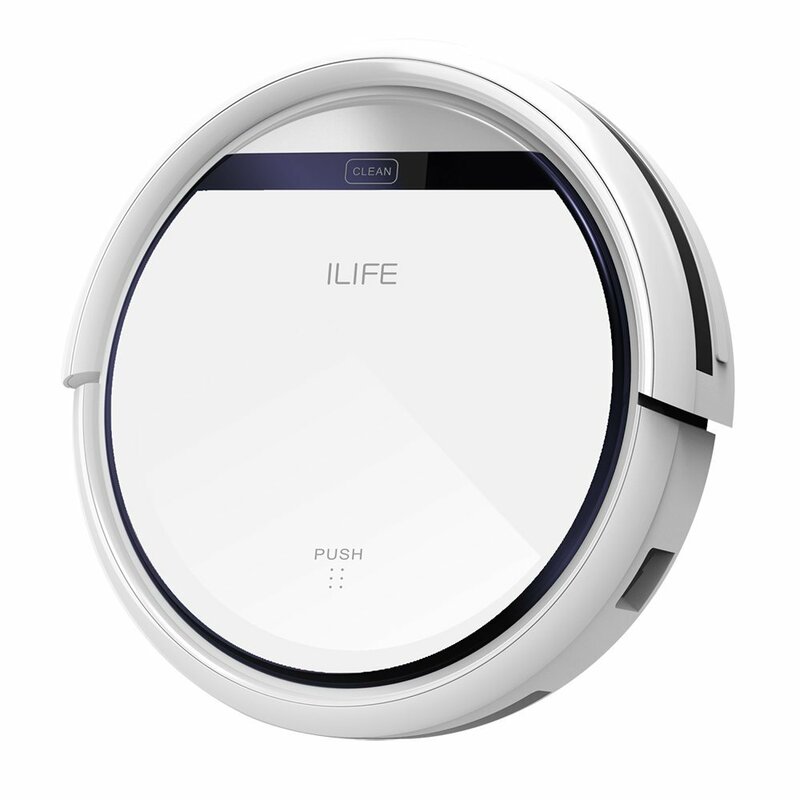 So Mattie, recently talked about the ILife robotic vacuum that is very similar, but costs so much less. $175 less to be exact. I have never been so excited to clean my floors. I am sure Walter will hate it, but I will LOVE it. Thanks for the recommendation Mattie. Two. 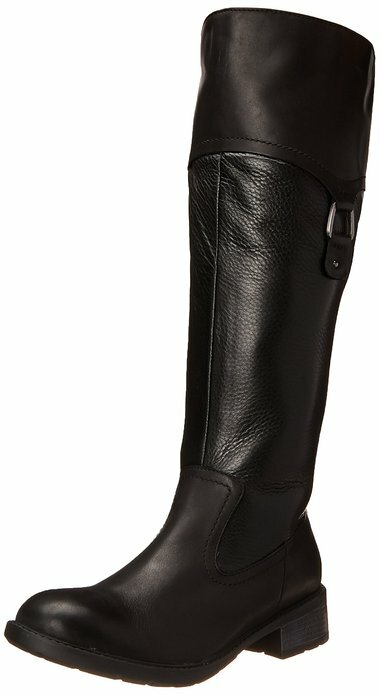 I finally found a pair of black riding boots to replace my old ones. I am a lover of Clarks boots and have a pair of pretty brown leather boots I got a few years back. Since I loved those ones that much, I decided to get another pair of Clarks. This time I got the Swansea version and I really hope I love them. It was between this pair and another, but this one seemed better for cold weather and snow. Meet my new boots. Three. It's game day and I couldn't be more excited. I can't wait to tailgate, walk into the newly renovated stadium and sit in my cush seats. We may have to pay double for our seats now, but at least I will be sitting in style....for at least this season. Next season, they charge my little ladies and I am not about to pay over $500 a ticket for them (each). Four. I have to say something about this because I just can't pass on it. I am a die hard 49ers fan. I am also a die hard Nevada Wolf Pack fan (I went to college at the same university as Colin did). I have been a fan for life and I am disgusted by Kap's actions (wearing a Fidel Castro shirt, wearing pig socks with a cop hat, not standing for the national anthem, running his mouth, etc.). I get that he is fighting for what he believes in, but he is doing in the wrong manner. By protesting the national anthem by sitting down, he is disgracing this nation. He isn't standing up for his rights. He cares so much about the Black Lives Matter movement, yet he hasn't lived the "oppressed life". Try hanging out in Oakland at night in the "hood" and let me know how bad your life is Colin. He had some pretty amazing parents who adopted him and educated him to be a good human being. He was drafted to the NFL and it all started to change. Fame got to his head and he turned into someone I don't even recognize. This is NOT the Colin I know and met in 2009. I stood up for him when people bashed him based on his twitter account and how he was "played out". But I am done. I am washing my hands of him and I am thankful my university is too. They are taking down memorabilia that commemorates him. We don't want that sort of attitude and hate here. Bye bye Colin. Five. It's Fall in my book since it's after September 1st, so that means I can finally go hog wild at Bath and Body Works. We went to the mall a few weeks ago and I wanted to buy the entire store, but my husband told me I HAD to wait until September 1st to bust out my Fall gear. This also means that I had to wait to buy new candles and hand soaps. You better believe I am sneaking in a trip there later today or Monday. Here is what I have in my shopping cart. Leaves is my go to candle during the Fall and I need another one as we burned the old one constantly. I love everything apple, so honeycrisp always wins. And give me all the pumpkin, spice and yumminess. I may scoop up more as I have a 40% off coupon and everything is already on sale. Any other scents you recommend? Tell me your favorites. *This post contains affiliate links. I only recommend products that myself and my family love or would love to try. Yay for football and fall! Enjoy those seats.. We were stuffed like sardines last night and it was miserable. I'm so disappointed in Colin's actions. I'm all about making a stand but not in this way!! Love those boots, so cute!! Ha ha I have to laugh because I didn't even realize you meant football when you said Nevada Wolf Pack the other day, LOL!! But moving on from that embarrassing moment, I am sad by Colin's behavior too - it's just not the right way, you're right. I blogged about the B&B soaps today, too :) Sweet P gave the apple scent to his teachers yesterday and I've been using leftover pumpkin since July... oops ;) I totally need a vacuum robot! I have a Roomba and wood floors and dogs that shed like crazy. Love having it! I do have to say that it doesn't work very well on rugs/carpet. Hopefully this one works just as well as the Roomba. Ours you can program to start by itself at a certain time during the day, but we usually just start it when we need it. I just saw that pumpkin spice latte is back. I may have to sneak out at lunchtime to grab one for a end of the week treat. I have a 5 hour road trip this afternoon with a toddler...I deserve it...also mmm, may have to pick up some of those candles! Yes to all of it! Hope you had a good weekend! I am so ready for all those fall scents. THE BEST! That's a crazy savings on a product that does the same thing. My daughter LOVES her Roomba. Ahh I hope you LOVE the vacuum! I don't think I've ever loved a cleaning product more. Ha! I put our fall stuff up on August 31st since it rained that day so I was like, "K, that means it's allowed." Michael was like, "But...September!" and then I got him to come around. ;) Haha! I haven't burned a fall candle yet though...hopefully tonight! I can't wait to hear how you like the vacuum. We need one because our hardwoods always look TERRIBLE and I feel like I need some help. And yes, girl, all the fall scents! I want to try that Vanilla Pumpkin Marshmallow! My very fave is Sweet Cinnamon Pumpkin... there's just something about cinnamon that gets me in the fall! We are looking forward to the start of football season this weekend too! Would love to hear how the vacuum works after you try it! I can't wait to see pics from the game. You guys will have so much fun. Also, I am so excited for you for your Europe trip. What an amazing experience. So glad the new job is going well and you continue to get great opportunities hun. The fall scents also look AMAZING! I broke out the fall candles on Monday! Mmmm! I'm decorating for fall this weekend! Yay Fall, now the weather needs to follow suit. ummm I couldn't wait with the candles and bought all the fall ones a few weeks ago! the worst part is that it will probably be 90 degrees in Dallas for at least another month. I wish I didn't HAVE to wait, but I did. Now I am burning them! !